This Greta Gerwig-Noah Baumbach collaboration is easily the film I connected with most in 2013. I swear it only has something to do with the fact that Frances and I are the same age, and that I finally feel like Frances at the end of the film. It’s not that I have everything figured out, but I’m on my way. It’s a powerful feeling, and I don’t think there is any other film that captures that feeling for my generation. The cinematography, and French New Wave stylings serve a story function as well, mixing the way Frances wants to see New York, but allowing enough realism to break through and communicate the real emotions underneath the day to day denial. I don’t want to make Fances Ha out to be a serious film, so much as an honest look that is unafraid to laugh with (and at) its protagonist when the occasion calls for it. From my review: There isn’t a strong plot, but the film doesn’t suffer from a slow pace or vignette feel. It’s not that each incident in the film seems like it has a monumental effect on Davis’ life, rather like a folk song, it reveals something about our perception of the man. It also helps that I’ve listened to the soundtrack for this a few dozen times. I have to admit, the first time I saw the third installment in the Cornetto Trilogy, I was a tad underwhelmed in comparing the film to Shaun of the Dead and Hot Fuzz, but after watching a couple more times, I have come to love it in a different way from the first two films. While those films explore male friendship and adulthood in a fairly straightforward way, The World’s End is much more about addiction and adjusting to middle age. It may be harder for me to relate at this point in my life, but Simon Pegg’s performance as Gary King is so layered that it just took time for me to “get” it. Another masterful film from him, Nick Frost, and director Edgar Wright. A family horror/psychological thriller, Stoker is masterfully directed by Chan-wook Park. Never subtle, but often still, the film lives in the between moments just as much as the moments of intensity themselves. Wonderfully creepy in various ways, Stoker is a film that stuck with me weeks after seeing it the first time. From my review: Gravity showcases Cuarón’s technical mastery and keen visual eye, but the performances of its small cast are just as vital…It’s not so much that Gravity is a deep film, it doesn’t have to be. But the humanity is the focus here, on the edge of where we live. It’s a simple concept wonderfully executed. I liked This Is the End the first time I saw it, thinking it was a clever premise with some great laughs. Seeing it a few times since then has made me appreciate the film all the more. The combination of the heightened personas of these celebrities and the high concept apocalyptic scenario makes this equal parts funny and clever. If film can succeed purely on spectacle, Pacific Rim is as close as it gets. Even as a fan, I would describe the story as perfunctory, a means to an end. But what an end it is! A loving tribute to monster films and gigantic action of all kinds, Pacific Rim is a perfect Saturday film, put it on and forget the world for two hours. Short Term 12 is in part a dramatic exploration of the kind of person attracted to working with at-risk teens, and moreover that the mental hardships from abuse aren’t something that can be cured. The mental scars are there, and while not visible with the naked eye, can have longer lasting damage than the physical ones. Like other Alexander Payne films, Nebraska deftly mixes the sweet and the sour, all against the backdrop of the upper Midwest. Anchored by Bruce Dern and Will Forte, the film features great performances from the supporting cast as well, especially June Squibb. It also operates in the same kind of heightened reality as Sideways and The Descendants, illuminating those little moments of life in the most entertaining way possible. Also, there are few things as bleak as the upper Plains in black and white. There are two simple reasons this film made it onto this list. Firstly, Emma Watson’s performance is dynamic and engaging, and works on a meta level. It’s truly a performance of someone giving a performance, and the entire film’s subversiveness might be rooted in it. The second reason is the wide shot when the burglars ransack the modern glass home of Audrina Patridge. The entire robbery takes place in one long take, the entire house in frame, with the audience witnessing the robbery. Patridge left the curtains open and lights on, making the audience the voyeurs watching the fame hungry gang. 2013 has been a heck of a year. Here’s what I liked…nay, LOVED. While still not my favorite Coen Brothers movie, this was easily my favorite movie of the entire year. So perfectly cast and beautifully shot, it has signature Coen Brothers elements while still remaining fresh and new. The third installment of the Cornetto Trilogy, I will simply love anything that these Spaced alumni put out. Extra points for this movie being made by the brother of the lead singer from Lucero. Also, McConaughey. I can’t remember the last time before this movie that I was so honestly frightened. Such a tragic tale, told in such a manner that tenderly handled the victims plight while still showing their cursed roles in their own sad fates. Easily, the best use of Whitney Houston’s “I Will Always Love You” in any movie ever made. Heart wrenching and lush, even in black and white, this movie probably had my favorite ending of the year. If you don’t enjoy huge monsters coming out of the sea and fighting huge robots, then you probably don’t enjoy fun. Heavy handed sketchy racial undertones notwithstanding, a huge robot had a huge sword in it and used it to hack apart a huge monster. Total win. Chan-Wook Park’s offering this year was tension filled and off-putting, but in all of the best ways. I feel like I may be in the minority here, but 2013 just did not do it for me. 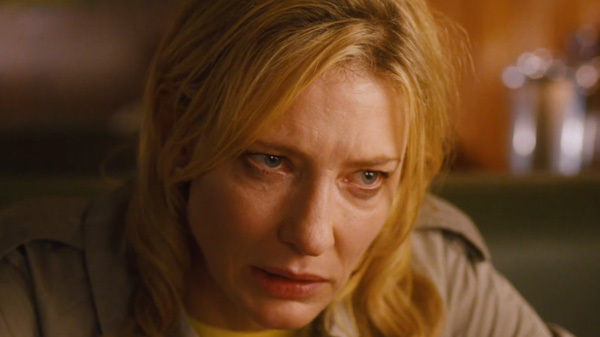 I wasn’t excited about anything (except Hunger Games) and after the dust seems to be settling around this most recent awards season sprint, I feel even more underwhelmed. It was really difficult for me to even cull the list I put together, because even though I like (and in some cases love) these movies, I also know they don’t really stack up against my favorites from previous years. But here we are. If I had to pick a theme for my list it would be “Dark.” Very dark. Dark comedies, gothic horror, quarter/mid-life crises, kids in rough situations, this list (in no particular order) is a giant decaying heart of despair, but in a good way. Enjoy? Man, is this film bleak. There’s very little to redeem any of the characters in August: Osage County, least of all the grande dame herself, played by Meryl Streep. The film is caustic, loud, angry, and absolutely hilarious. If you don’t like black comedy, I can’t see this film resonating with you. And that may be the downside to this adaptation from the original playright author Tracey Letts. I can imagine this story working much better as a play, and will admit that as much as I loved this movie, its jump to the big screen poses some problems. Namely, the melodrama that imbues every frame becomes overwhelming at times, as does the seemingly endless amounts of twists and turns this family goes through. I mean there’s only so much “messed up” a family can be all at one time right? But like any good family train wreck, it’s impossible to look away. A film about the hardships of the foster care systems as told through the eyes of a predominately young cast. It speaks volumes of truth and features some of the best intimate moments between characters onscreen I’ve seen in quite some time. 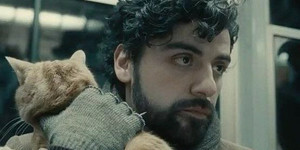 The cat(s) and music from Inside Llewyln Davis. For the first six months of the year, I lived in Oberlin, Ohio, a small town with one theater that predominantly screened blockbusters. And then I moved to Philadelphia and spent the next six months trying to figure out my life here which didn’t lend itself to a lot of recreational outings. Needless to say, it was not a great year for film and I and many of the films I did see left me with lukewarm feelings. Thus, for a variety of reasons, this will be a list of five. 10. THE CONJURING at ArcLight Hollywood – The Conjuring is my pick for best horror film of 2013, I really like that ghosthunting couple. The ArcLight was having an exhibition of drive-in/exploitation movie posters at the time, which was just as memorable as the film. 9. INVASION OF THE BODY SNATCHERS (1978) at New Beverly – This was screened as part of an Edgar Wright-curated series tied into the release of THE WORLD’S END. Didn’t really care for that film, but Body Snatchers is one of the greats. 8. Paul Lynde Halloween Special (1976) at PhilaMOCA – I closed out the Halloween edition of Video Party with a surprise screening of one of the most difficult to watch television variety shows of all-time, really only suitable for die-hard KISS or Paul Lynde fans (I’m in the latter camp). I was so impressed by the perseverance of the ten people in attendance who lasted through the whole special that I gave them free tickets to future events. It’s a real joy to share bad comedy with others. 7. KRRISH 3 at AMC Neshaminy 24 – One of my all-time favorite movie-going experiences was seeing Koi… Mil Gaya in Burlington back in 2003. Touted as Bollywood’s first major sci-fi film, Koi… was a really strange amalgamation of E.T., Close Encounters, Hoosiers, and Forrest Gump. My friend Dean and I were the only two people in the theater and we laughed for all 171 minutes. 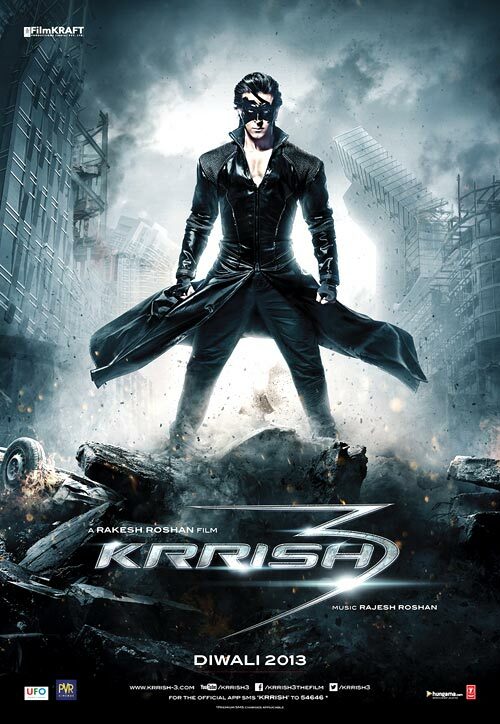 The sequel to Koi… was 2006’s Krrish, which was basically Bollywood’s first entry into the masked superhero genre. And then came this year’s Krrish 3, an uninspired take on the X-Men films that’s a ton of over-the-top fun though I still think that jumping from 1 to 3 is unnecessarily confusing. 6. SPRING BREAKERS at Ritz East – Girlfriend Carrie and I went to see this on our first date, so it’s memorable for that. I still don’t have an opinion on the film itself. 5. HEAVENLY BODIES (1984) – We watched this “Dance-ercize” film on my laptop while detained at an airport in Russia. The only food we had access to for 18 hours was a TGI Fridays. Dark times. 4. METALLICA THROUGH THE NEVER at AMC Loews Cherry Hill – I don’t know why this didn’t catch on with my fellow lovers of bizarro cinema, I was hooked as soon as I heard that it was a Metallica concert film with an interwoven fictional narrative. And it was an IMAX film! Just as engrossing as 12 Years a Slave. 3. 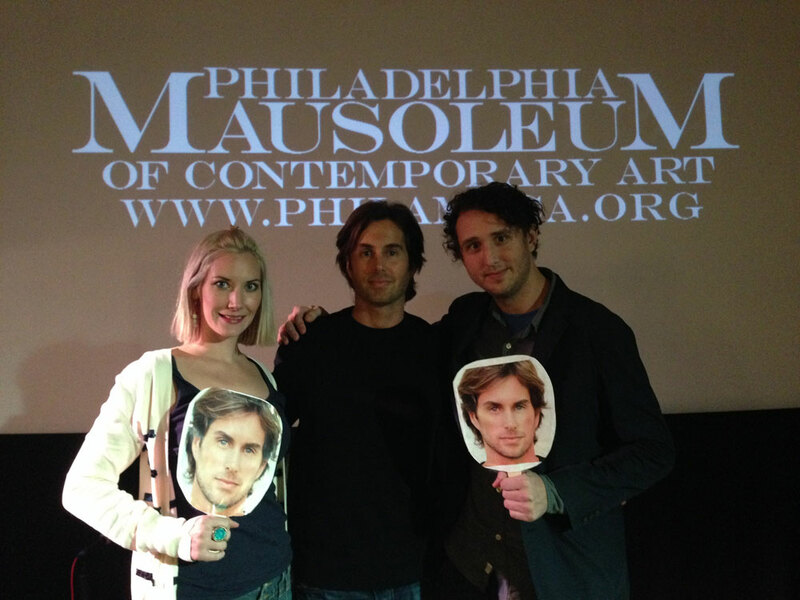 Greg Sestero at PhilaMOCA – One of our very best events. We screened a retrospective video on THE ROOM, Greg read from his new book about the film, and he then joined audience members in an hour-long THE ROOM script reading that included pages from the original script. Really exciting stuff for the fans. Afterwards we took him to Tony Luke’s for a cheesesteak and then stopped by the Ritz at the Bourse for a surprise appearance at their midnight screening of THE ROOM. Check out some great videos of the script reading shot by Bob Sweeney here and here. 2. 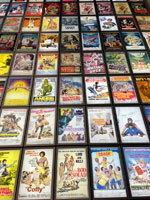 Everything Is Festival at the Cinefamily – Way ahead of the curve of 99% of the film festivals out there; an insane wealth of film and TV oddities and treasures. Over the course of the four days that we were able to attend we saw: Beauty Day with the director in attendance, a “best of” public access program (equally good was the Found Footage Festival public access-themed show recently held in Philly at Underground Arts), a program of weird video game highlights, Mike Judge presenting his favorite found footage clips, the brilliant Amy Fisher biopic mash-up Triple Fisher (coming soon to PhilaMOCA) with Joey Buttafuoco in attendance, and a 35mm print of the insane Bruce Leong film THE DRAGON LIVES AGAIN in which Leong plays Bruce Lee battling famous movie characters in the afterlife. 1. Cinedelphia Film Festival – C’mon, this thing was incredible! I’m still not over it. Memorable screenings that immediately come to mind were the World Premiere of VIDEO VIOLENCE: REDUX DELUXE at Viva Video with the director and writer in attendance, LIQUID SKY with a live score and the director in attendance at PhilaMOCA, and the debut of Joseph A. Gervasi’s Philly punk-centric Loud! Fast! Philly! program. But those are just three of the 40+ programs we hosted, it was all good. 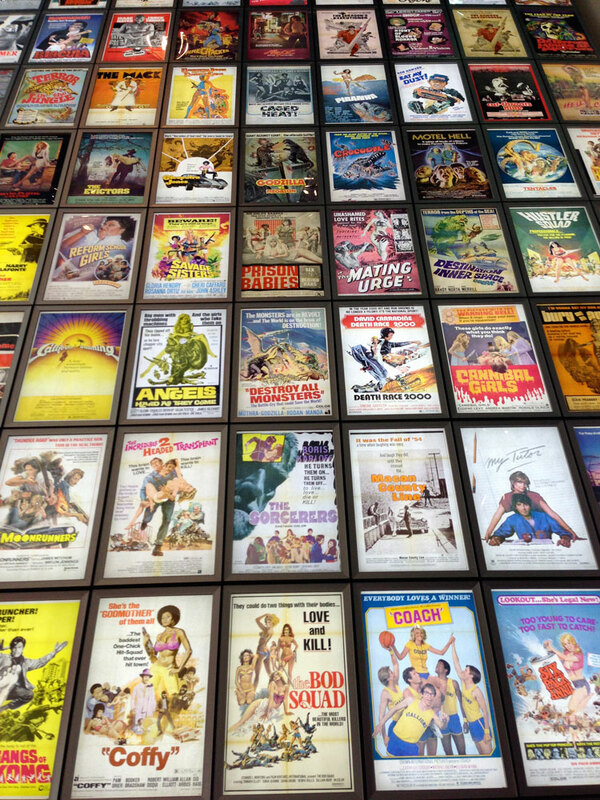 And yeah, we’re doing it again this coming April: CINEDELPHIA FILM FESTIVAL 2014 presented by VIDEO PIRATES. It’s gonna be crazier than last year, promise. And of course Exhumed Films’ eX-Fest and 24 Hour Horror-Thon remain the most exciting annual film events in Philadelphia. I just now realize that I didn’t go to the International House nearly enough this past year, I’ll definitely be there throughout January for the Free To Love program and on February 6 for this. And let’s acknowledge the tireless efforts of Jill and Ryan who picked up the reigns here at Cinedelphia earlier this year and guided the site towards its current state of legitimacy and productivity. They also got engaged this year…to each other! Congratulations, guys!